This poor, neglected blog might seem like proof that this copywriter is AWOL. This copywriter is active and busy and very much engaged in the world of words. It’s just that, since I took over the Professional Copywriters’ Network in 2016, I’ve been busy blogging, managing, organising and generally nudging PCN in the right direction. Peer-mentoring for copywriters. Groups of four. Everyone helps everyone. Lovely! Not a new initiative, but I’m delighted that we can continue this survey – originally conceived by Tom Albrighton and delivered by Joanna Tidball. 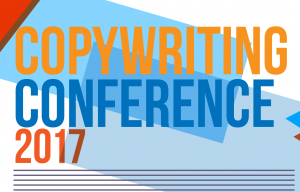 You should take the copywriting survey now! It’s completely anonymous, and only takes 7 minutes or so to complete. You’ll get to enjoy the results in a couple of months. Tickets are on sale from 8 February. I hope you can join us! And lately I’ve been writing employee communications, ads for TV shows, blog posts for an e-learning company – as well as working on content strategy for a national pet charity.